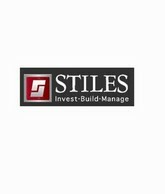 Stiles Corporation is a commercial real estate organization. It had been established in the year 1951. It builds, manages and invests into real estate properties in South-eastern United States. In addition, the organization specializes in acquisition, financing as well as repositioning of real estates. Its varieties of services include - management of assets, tenant improvement, development, architecture, property management, brokerage and leasing. Stiles Corporation makes investments in projects such as mixed-use, office, retail, industrial and residential etc. Mr. Terry W. Stiles is the Chief Executive Officer and Chairman and Mr. Douglas P. Eagon is the President of the organization respectively. There are currently 0 consumer reviews about Stiles Corporation available. Share your review. Please take a note that you are about to post a public review about Stiles Corporation corporate office on CorporateOffice.com. This review will be public, so please do not post any of your personal information on this website. If you would like to contact the corporate offices of Stiles Corporation, please use their contact information such as their phone number, website, and address listed above to contact them. However, sometimes staff from Stiles Corporation headquarters do read the reviews on this website.